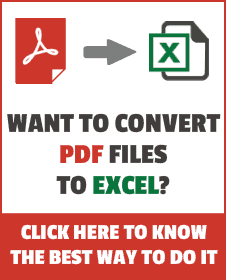 Do you merge cells in Excel? If yes, you need to know a few drawbacks of merging cells. To begin with, if you try and sort cells that have been merged, it will refuse to do so and show you an error that says – To do this, all the merged cells need to be of the same size. First of all, this warning does not specify that the issue is because of merged cells, but even if you know that there would be a huge task to unmerge these cells for sorting to work (especially if you have a huge data set). See Also: How to merge cells in Excel the right way. 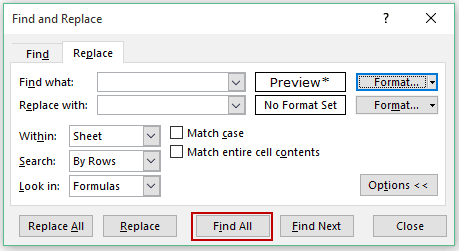 Don’t lose heart – there is a quick and easy way to find the merged cell in Excel. You can easily select all these cells and unmerge it, or highlight it, or remove it. 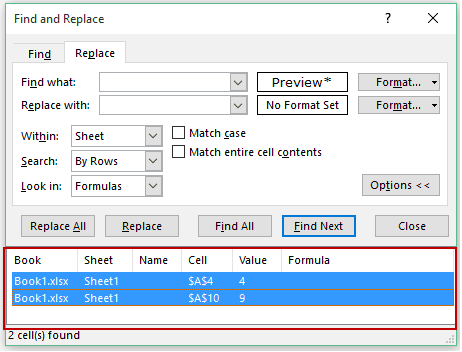 You can use the Find and Replace feature to find merged cells in Excel. The only way to resolve this is to find these merged cells and unmerge it. Select the cells in which you want to find the merged cells. Go to Home –> Editing –> Find & Select –> Replace (You can also use the keyboard shortcut – Control + H). It will open the Find and Replace dialogue box. In the Find and Replace dialogue box, click on the Options button. It will expand the dialogue box and show some additional options. In front of the “Find what” field, click on the Format button. It will open the Find Format dialogue box. 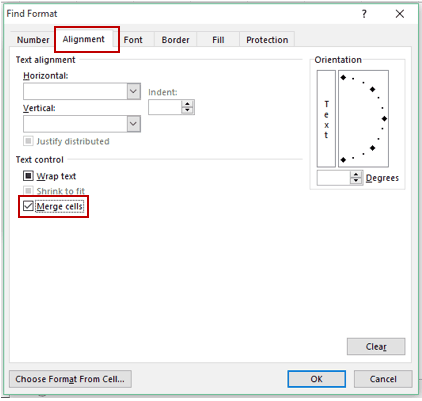 In the Find Format dialogue box, select the Alignment tab and check the Merge Cells Option. Click on Find All button. It will find all the cells that are merged and list it below the dialogue box. Select all the listed cells (select the first listing, press Shift and then select the last one. This will select all the listings at once). Go to the Home tab and click on the Merge & Center button. This will instantly unmerge all the cells. Now you can sort the data as it would not have any merged cells. Instead of merging these cells, you can also delete it or highlight it. To do this, follow all the steps given above, and in the last step, instead of unmerging the cells, highlight it or delete it. 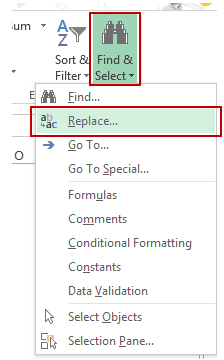 How to Find and Remove Duplicates in Excel. MS Help – Find Merged Cells in Excel. Can’t thank you enough. This saved me so much time!